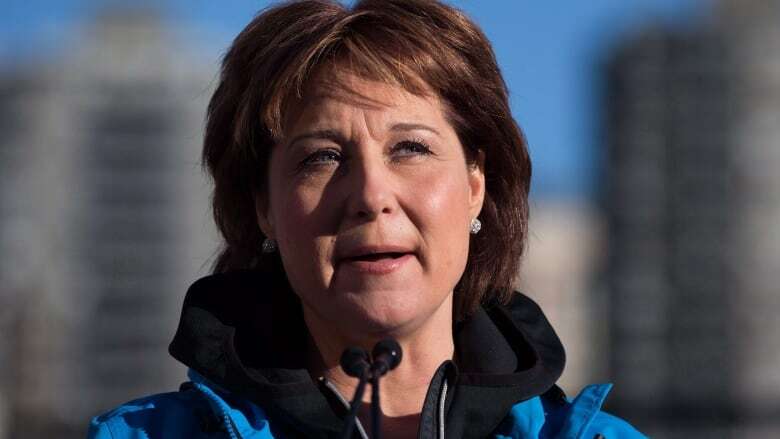 Clark had sharp words Monday for what she calls the "forces of No" in British Columbia who mount resistance efforts to government initiatives purely out of a fear of change. First Nations leaders quickly shot back at the premier, labelling her comments "paternalistic" and "mindless." Clark made the statements during a news conference where she fielded questions about opposition to the Trans-Pacific Trade Partnership, environmental concerns over liquefied natural gas development and tax breaks for the mining industry. "There are people who just say no to everything, and heaven knows there are plenty of those in British Columbia," said Clark. "But just because it's hard doesn't mean you give up. It doesn't mean you should be a quitter." "I'm not sure what science the forces of no bring together up there except that it's not really about the science," said Clark. "It's not really about the fish. It's just about trying to say no. It's about fear of change. It's about a fear of the future." The proposed project is billed as the largest private-sector investment in B.C. 's history, valued at $36 billion and estimated to create 4,500 construction jobs. A coalition signed a declaration to protect the area at the end of a weekend summit in Prince Rupert, attended by more than 300 hereditary and elected First Nations leaders, scientists, politicians, fishermen and others. "Once again, people from the entire length and breadth of the Skeena River and its estuaries have come together to let both levels of government and the industry know that they've made a mistake in siting this particular project," said Gerald Amos, Friends of Wild Salmon spokesman. Amos said the area surrounding Lelu Island is known for its eel grass beds that offer protection for salmon before they head to the ocean or return to the Skeena to spawn. He said First Nations view Clark's comments about as insensitive to people who want to protect the Skeena salmon. "She's on the wrong side of this equation," he said. "Labelling the forces of no is paternalistic. It's downright insulting." "Her mentality, the mindless phrases that come out of her mouth," said Yahaan. "Saying that we're the people of no. We're the indigenous people of this land. We live here. We know about the environment. She doesn't." But Gitga'at First Nation Chief Arnold Clifton said declaring Lelu Island and Flora Bank off limits to industrial development may be premature. 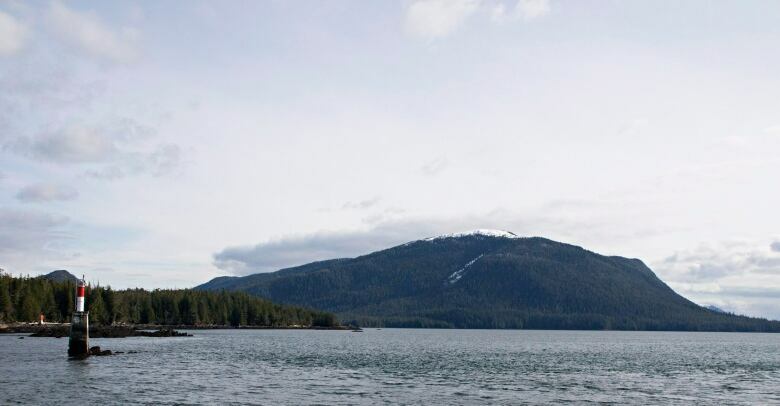 Clifton and four other elected area chiefs representing the northwest's Tsimshian Nation said many First Nations area awaiting the results of two independent scientific reviews before deciding whether to support the LNG project. He downplayed the comments of Yahaan and other hereditary chiefs, but pointed at area New Democrats who signed the declaration. "They stepped in a little too quickly," said Clifton of nearby Hartley Bay. "They should have spoken to the chiefs first." New Democrat members of the legislature Jennifer Rice, Robin Austin and Doug Donaldson and the North Coast's federal member of Parliament Nathan Cullen signed the declaration. Provincial New Democrat LNG critic Bruce Ralston said his party opposes the Lelu Island project because it does not meet the party's conditions of approval, including First Nations consent. He said the NDP remains committed to supporting the LNG industry, providing it meets the Opposition's four conditions.